The story of the Chichibu distillery is a romantic and hopeful one to say the least, with all the ups and downs, and sadness and happiness that comes with any tale worth telling. It begins a long time ago. Owned and run by the Akuto family, the Hanyu distillery was founded during the 17th century, producing sake from rice sourced from the surrounding fields. In 1946, with a license to produce alcohol, the Hanyu distillery started making many kinds of products. However, in 1980, with two new pot stills, the distillery moved towards producing Scotch style whisky, under the supervision of a man called Isouji Akuto. Sadly, in an increasingly competitive market, the distillery wasn’t able to survive, and the Hanyu distillery shut down only a decade or so after starting to produce whisky. In 2000 production was halted, and the equipment was dismantled by the site’s new owners in 2004. These events could have easily brought this story to a close, if not for the passion of one man. Isouji’s grandson, Ichiro Akuto, worked as brand manager for Suntory as a young man, before joining the family company as sales manager. He was the company’s president when Hanyu “fell” and was the one who salvaged the remaining Hanyu stock, which includes some of the rarest whisky in Japan today. This brings us to the “rising” part of the story, where the Akuto descendant took all his family’s history and effort onto his shoulders, and refused to give up. Ichiro started a company named Venture Whisky Ltd. In order to market the remaining Hanyu stock. He turned Hanyu whisky into a global brand, enveloped in luxury, rarity, and quality. He started the renowned Ichiro’s Malt series amongst other rare releases. Every step he took, however, had a final destination, a final goal- to establish a new distillery. This distillery was named Chichibu, and became operational in 2008, making it the first new distillery in Japan since 1973. Ichiro Akuto and his new distillery were and still are the “big” news in the Japanese whisky world, and Hanyu fans worldwide are not disappointed, as the young distillery is making some amazing progress as they move forward. Just outside the town of Chichibu, Japanese Mizunara trees grow in front of the distillery, as the small Chichibu team of nine employees go about their daily tasks. As a young distillery, Chichibu specializes in short maturation, of three years or more. The intense climate in the area is said to have a huge impact on maturation, with extremely warm, humid summers, and freezing cold winters. For this reason Chichibu whiskies are rather fruity and very well-balanced, despite the short maturation periods. Local Saitama barley is used to produce some of the Chichibu whisky, however, due to limited supply, the distillery also uses barley sourced from the UK. 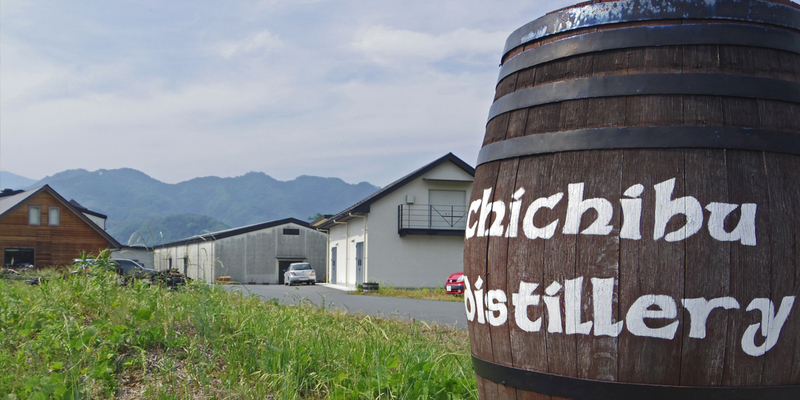 Chichibu draws much from the history of Scotch making, but through experimentation, local ingredients and climate, and Japanese expertise, the distillery has quickly become an established brand, and expectations of Chichibu whisky are only growing. Some of the most popular and limited Chichibu Ichiro’s Malt releases include the Double Distilleries, the Wine Wood Reserve and the Mizunara Wood Reserve, produced by blending malts from Hanyu Distillery and Chichibu Distillery. Single malts such as Chichibu The First 3 Years Old, Chichibu The Floor Malted 3 Years Old and Chichibu The Peated, are also available in very limited numbers. In global news, Chichibu recently won the World’s Best Single Cask Single Malt award at the World Whiskies Awards 2017 for their wonderful Chichibu Matsuri 2017 release. The distillery was also featured in the Spirit of Speyside festival this year, making it the first time Japanese whisky was part of the event. Chichibu and Ichiro Akuto don’t seem to be stopping anytime soon, so stay tuned for further breakthroughs and awards, as they rise through the Japanese whisky industry.